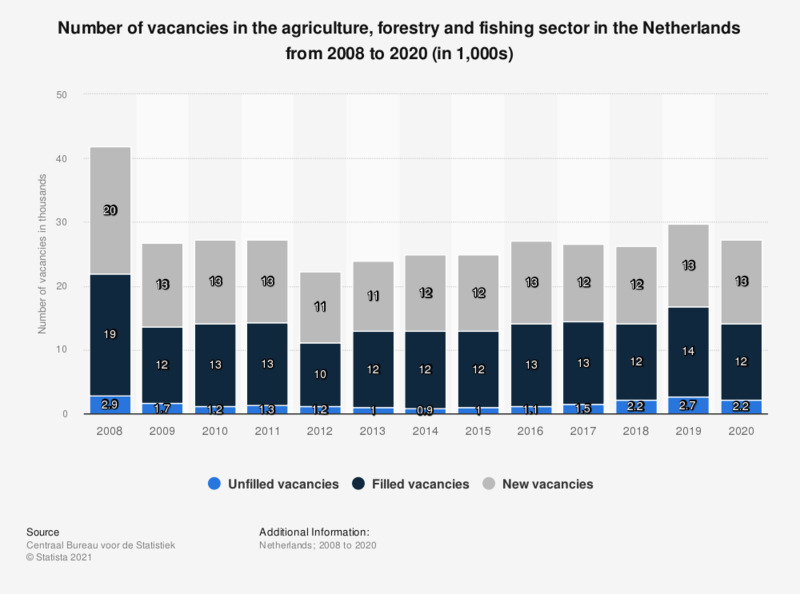 This statistic displays the number of vacancies in the agriculture, forestry and fishing sector in the Netherlands from 2008 to 2018 (in thousands). It shows that in 2018, there were approximately 2,200 unfilled vacancies in the Dutch agriculture, forestry and fishing sector. The source adds: "New and filled vacancies also include new vacancies which were filled in that same quarter. Filled vacancies including cancelled vacancies."